Asphalt 8 has essentially been the go to racing title for a long while. Gameloft yesterday released a sort of successor to the popular racing game in the form of Asphalt Xtreme. It is free to play and is available both on Android and iOS right now (nobody cares about Windows phone anymore? ). The game brings back the core mechanics of the highly acclaimed Asphalt 8 but includes small additions that freshen up the experience. 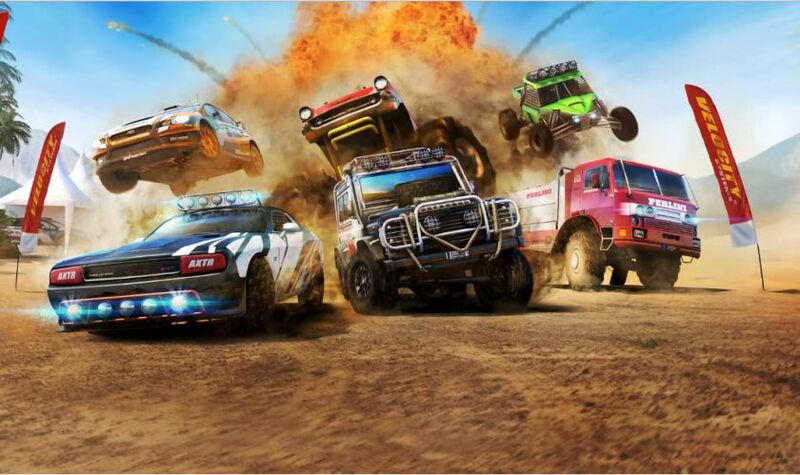 Asphalt Xtreme brings an off road experience to the racing genre. As such, tracks are no longer paved. They are usually dirt, sand or ice – basically resembling whatever environment you play in. The tracks are also much wider and have lots of intersections thus giving players the option to make their own way to the finish line. The traditional game modes also make a return. The races are now made up of a wide category of vehicles. For example, you may be driving an SUV but other racers could be driving monster trucks or muscle cars. Things get interesting with the new vehicle categories. Each vehicle type has a particular advantage over the other. Monster trucks for example are unaffected by rough terrain and so do not slow down but are larger and tougher to navigate. Similarly, a buggy is more acrobatic in the air but also fragile and susceptible to getting wrecked. The game has been out only for a short while but has managed to capture a large audience. According to a number of reviews on the Google Play Store, there are a lot of release bugs but we have yet to encounter any. For more details, check out our gameplay video.